After a trifecta of multi-week back-to-back chart-toppers, three-time and reigning ACM “Entertainer of the Year” Jason Aldean continues the momentum with the release of his new single, the haunting title-track behind his No. 1 album Rearview Town. The fourth release from his record-breaking eighth studio album, which boasts over 500 million streams, follows his most recent 22nd career No. 1 “Girl Like You” and evokes a nostalgic and “relatable premise” (Huffington Post). Written by Kelley Lovelace, Bobby Pinson and Neil Thrasher, its lyric video mixes childhood and early-career photos of the multi-platinum entertainer with footage from sold out shows and award show accolades that fans can see here. The “blustery production matches Aldean’s angst-filled vocal delivery” (Rolling Stone) as “Rearview Town” follows the success of the multi-week No. 1 hits “You Make it Easy,” “Drowns the Whiskey” and most recently “Girl Like You.” Showcasing “why he’s connected with audiences representing rearview towns all over the world” (CMT) Aldean “sings confidently and expressively” (The Musical Hype) as “an entertainer embracing the next step in life” (The Gazette). 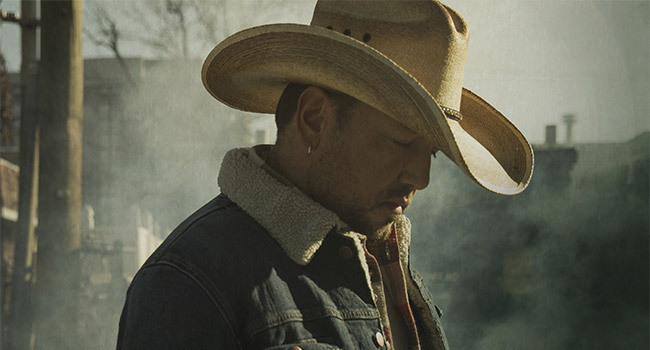 Aldean is only the second country act in history to score four consecutive chart-toppers on the all-genre Billboard 200 albums chart with his current album Rearview Town, with six of his previous LPs having achieved platinum certification or better. The path paved by his wide-open, sure-footed approach has defined the genre’s 21st century including more than 18 billion streams, 17 million total album sales, 22 No. 1 singles and countless recognition from the GRAMMYs, ACMs, CMAs, BBMAs, People’s Choice Awards and more. The “musically muscular, big-tent entertainer” (The Atlantic) will deliver a mix of new hits and fan favorites during his 2019 Ride All Night Tour launching May 3rd with back to back nights in Uncasville, CT with special guests Kane Brown, Carly Pearce and Dee Jay Silver.